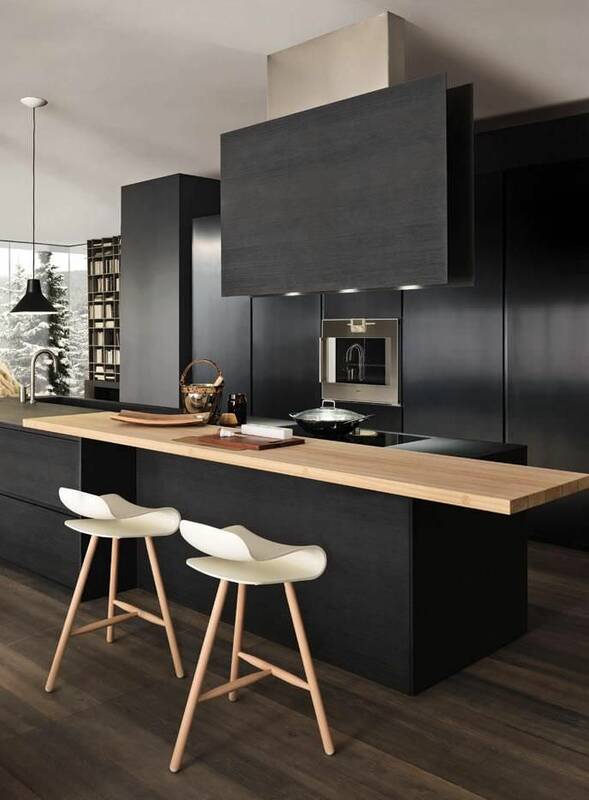 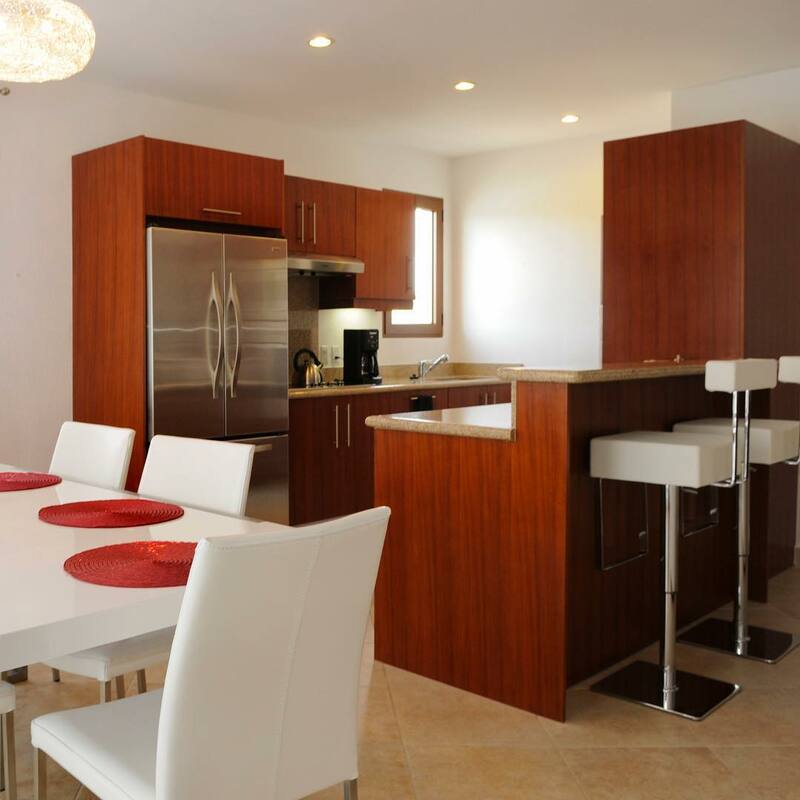 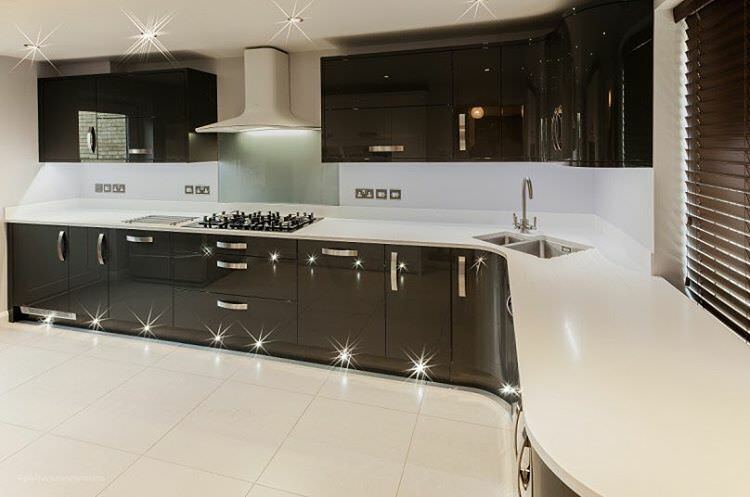 Kitchens are the focal point of contemporary homes therefore homeowners prefer to follow modern kitchen designs to beautify small places practically. 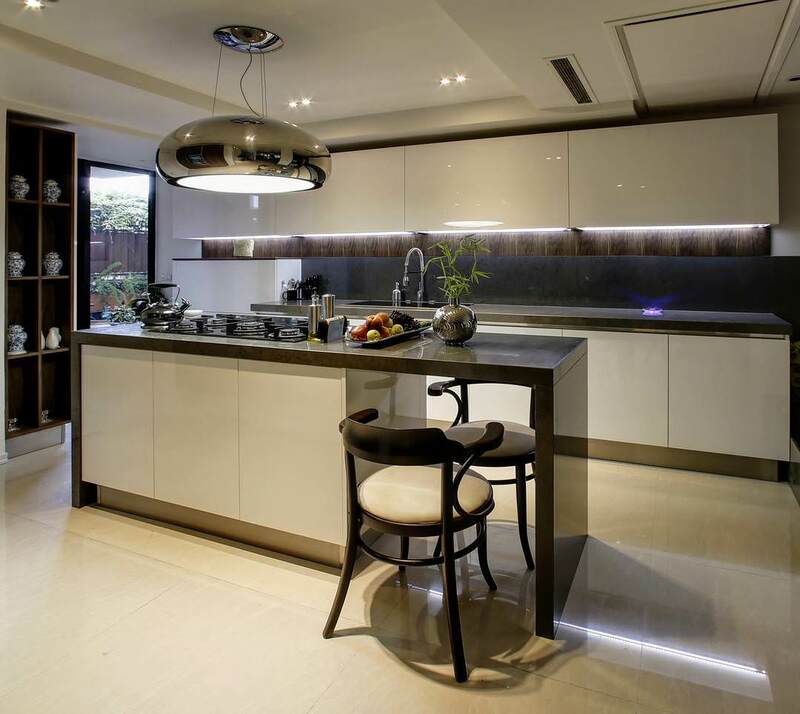 Nowadays, open shelve kitchen are taken as perfect way to utilize small space. 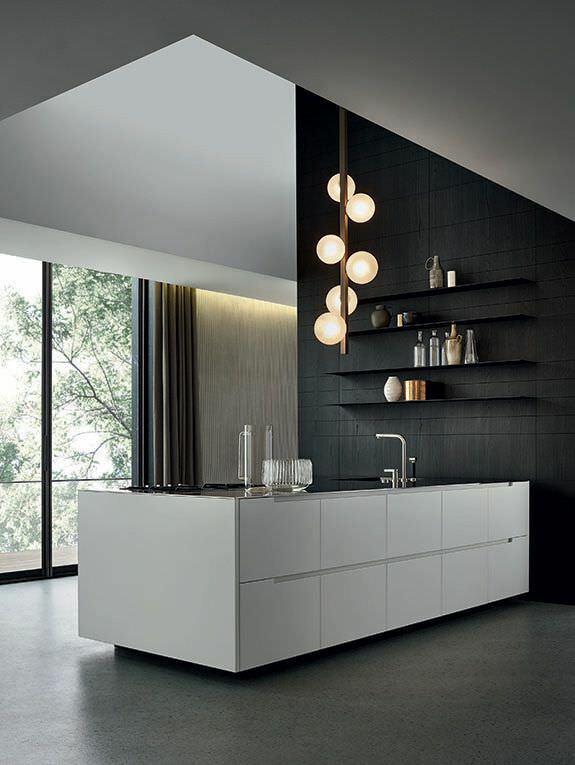 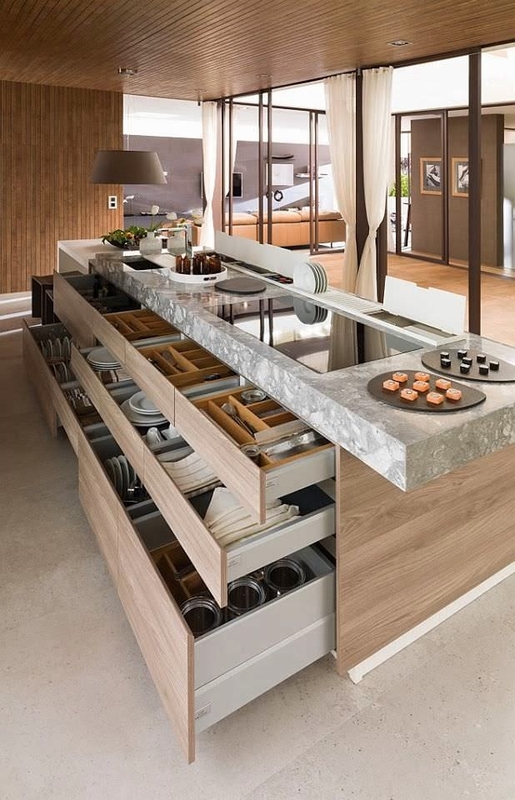 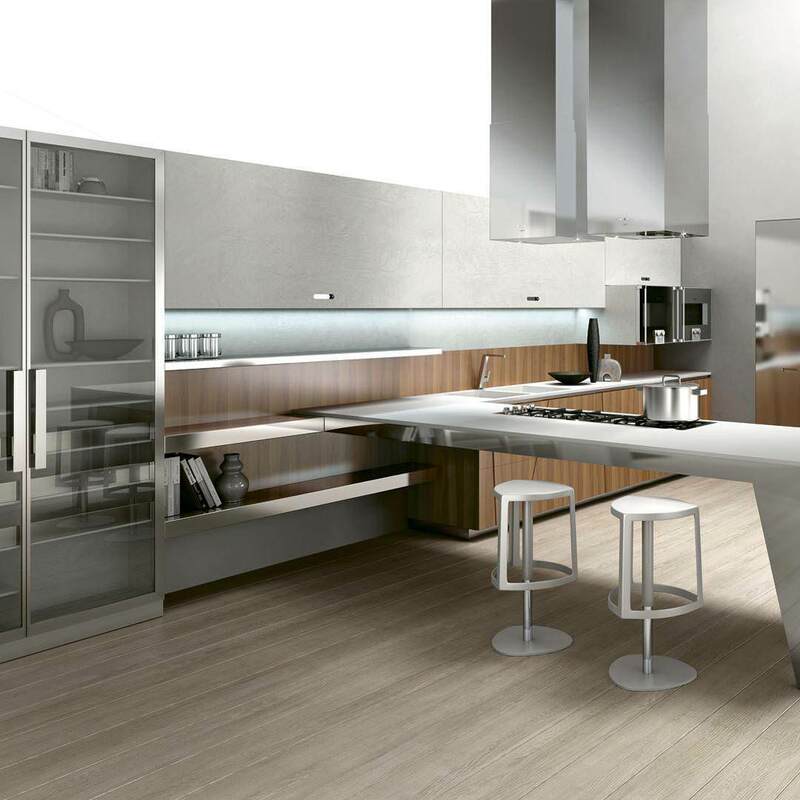 Open shelves kitchen are more functional and lively in nature. 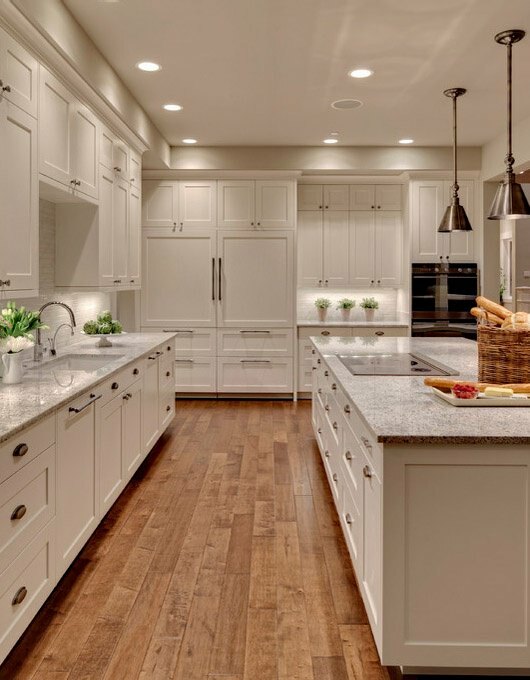 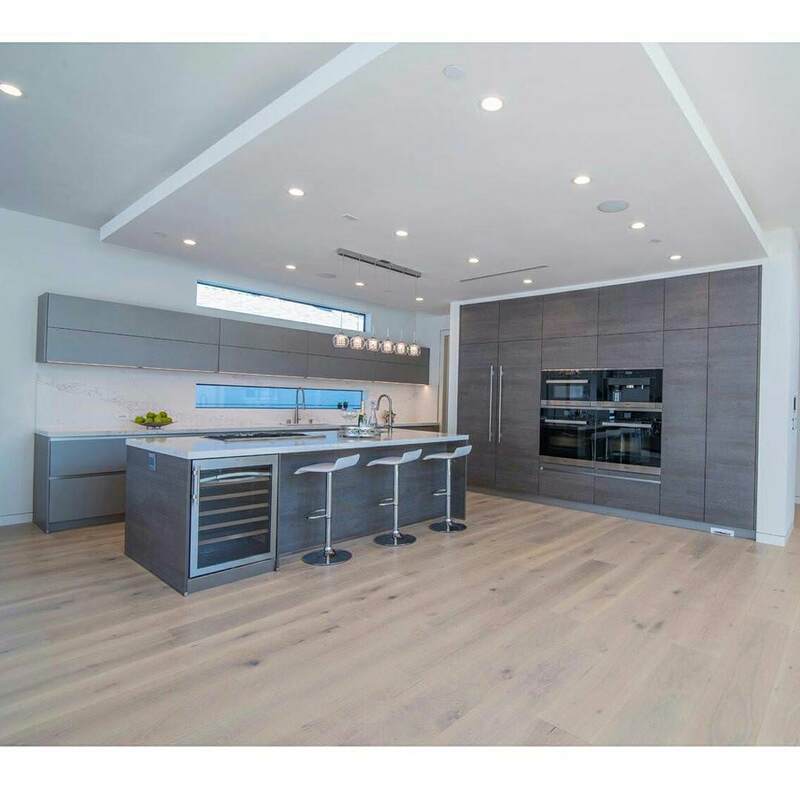 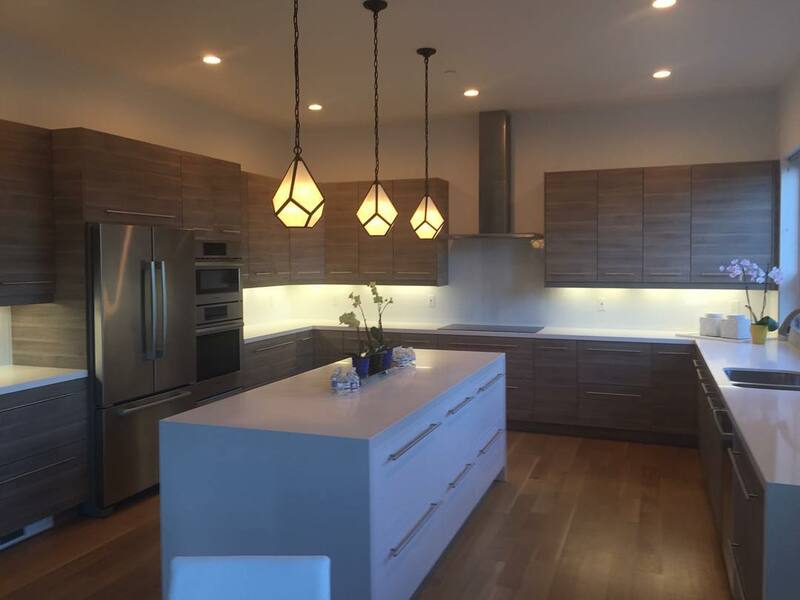 Past kitchen trends focus on large size cabinets, ceramic tiles floor, steel sink, wall papers, separate place for oven, stove and refrigerator. 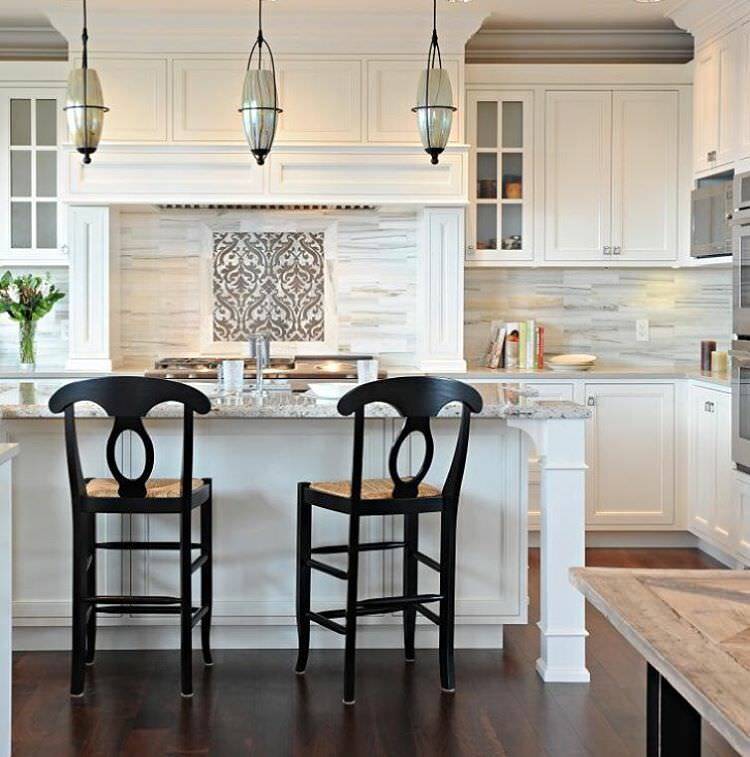 On the other hand, 2015 trend has focused more on open floor plans and ceilings. 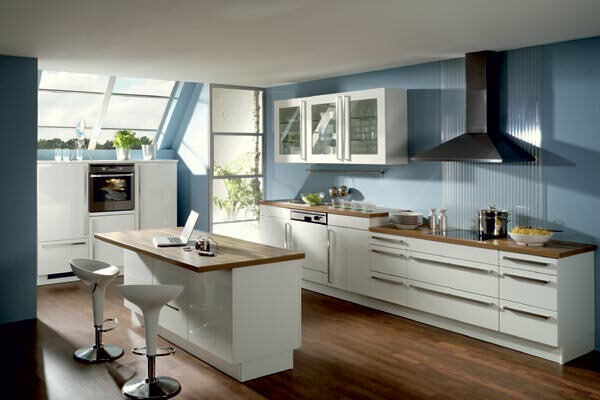 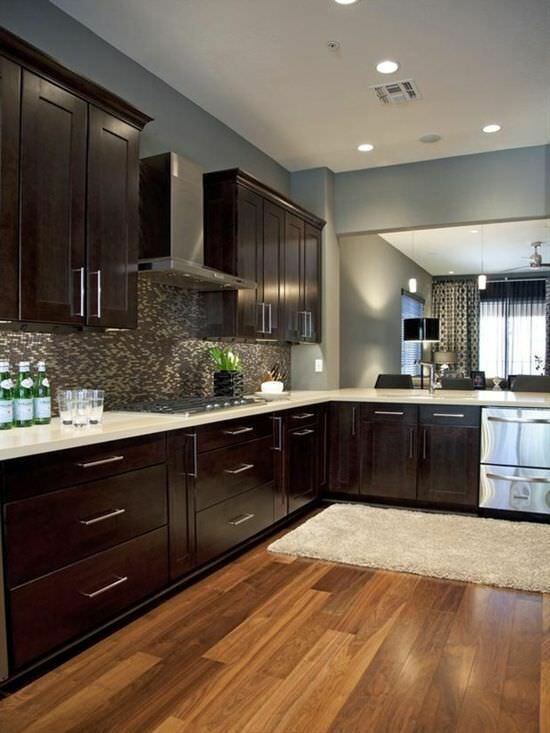 A few years ago, people did not look up to admire ceiling but modern kitchen designs emphasize on styles of ceilings. 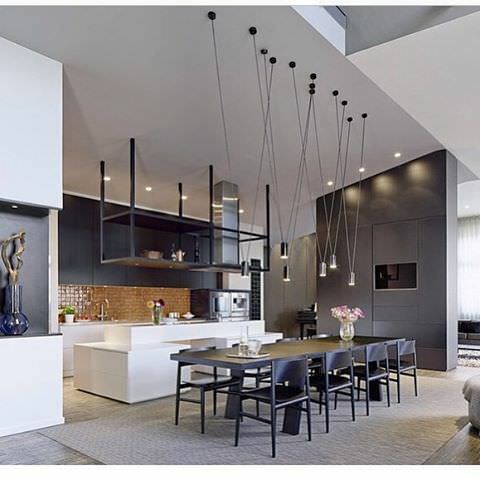 Attractive lightening on ceiling, coffer ceiling, wood frames, embellishment, and bulkhead trends will make kitchen the most beautiful part of house. 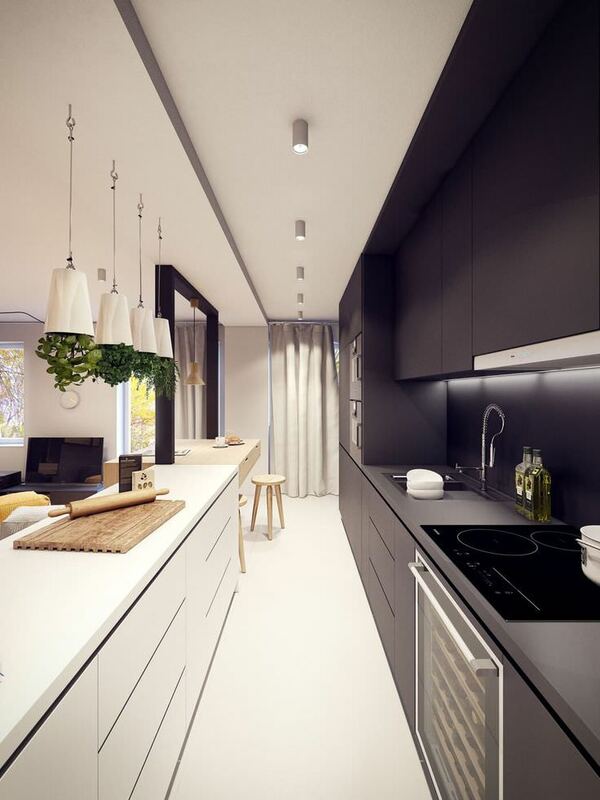 Green kitchen idea is appreciated as edible micro greens provide fresh salad and enhance the appearance. 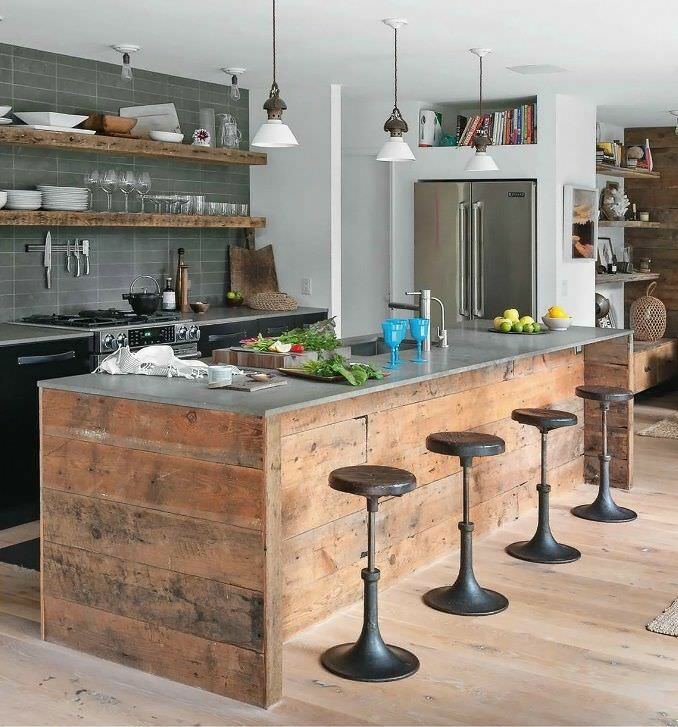 Materials and colors can change the whole style in minutes. 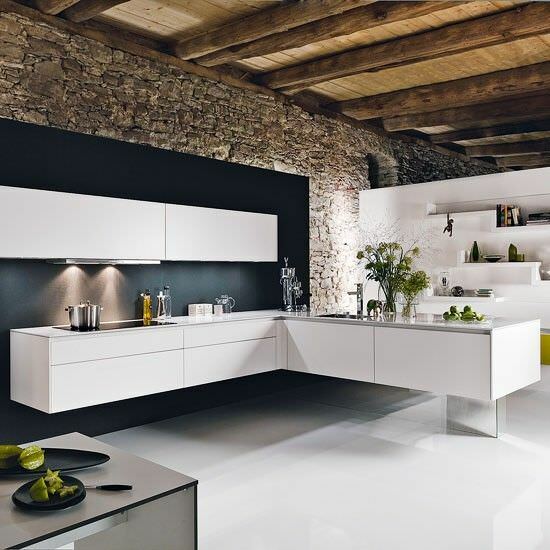 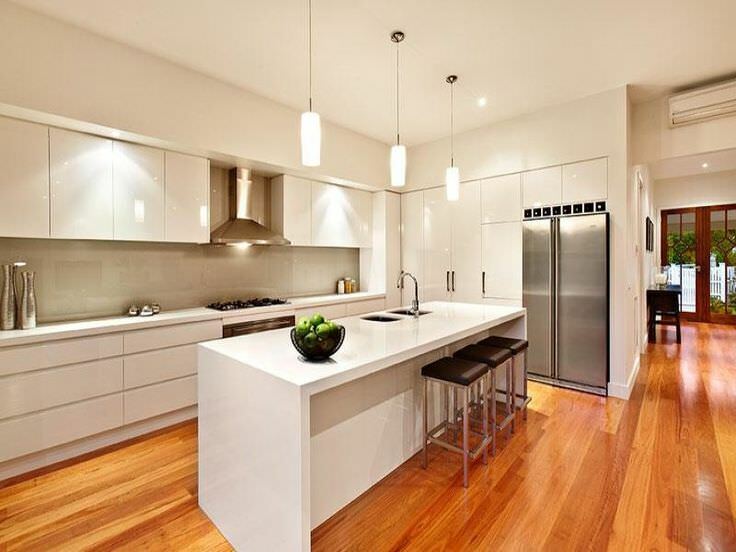 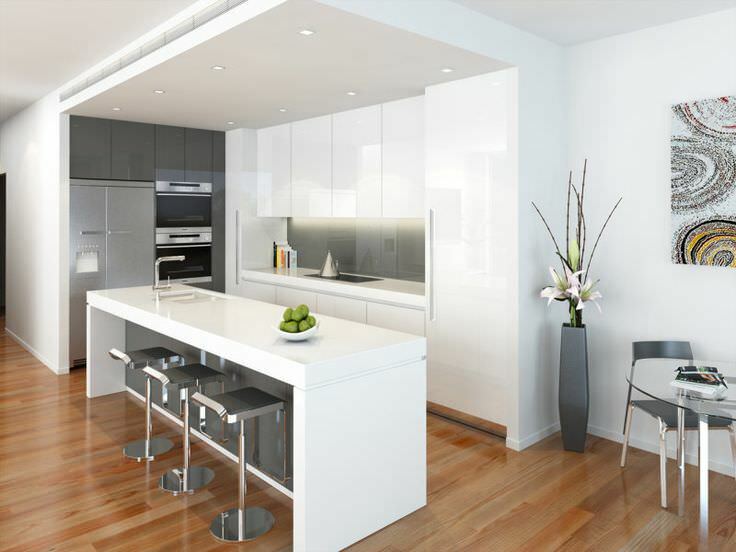 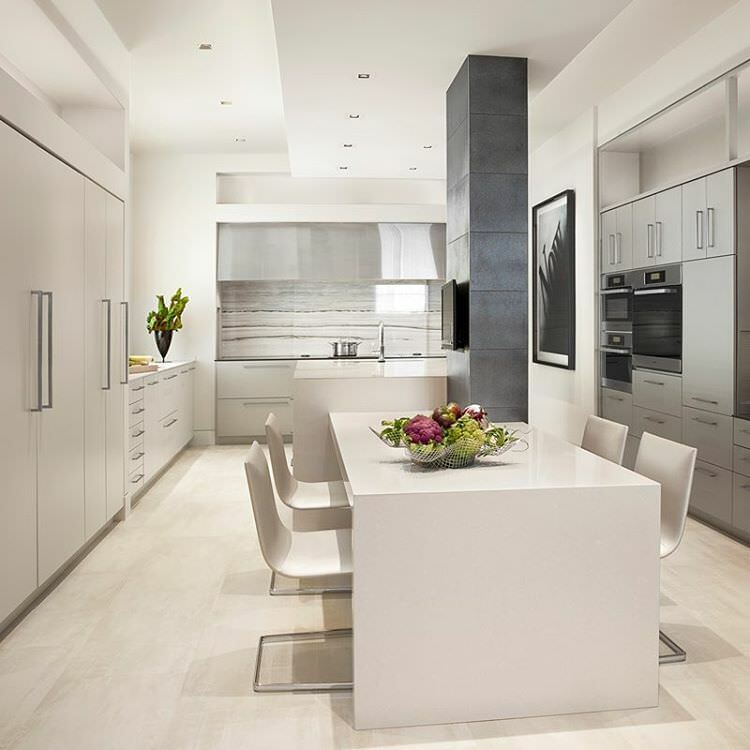 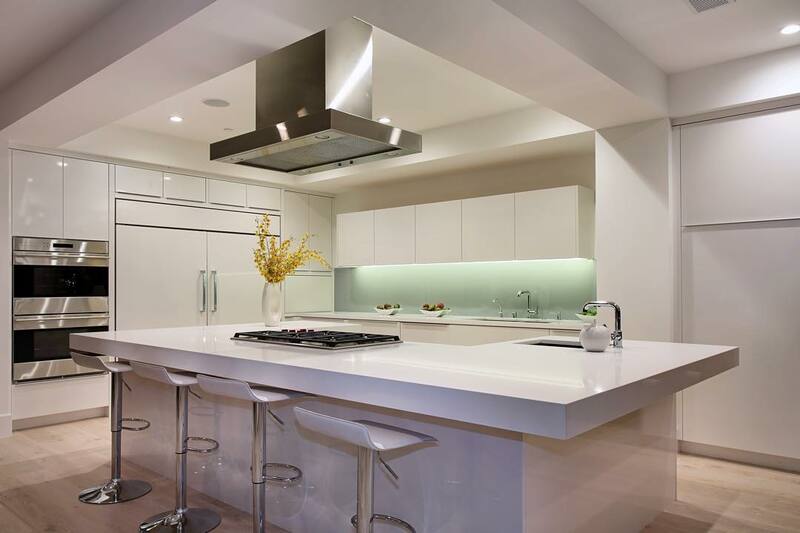 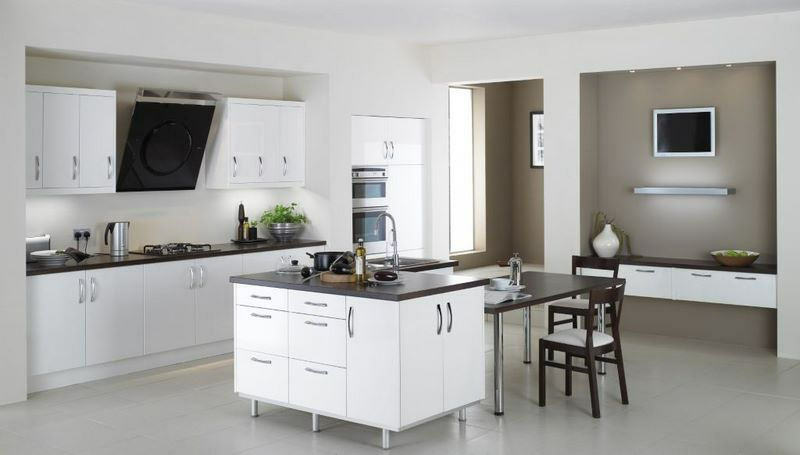 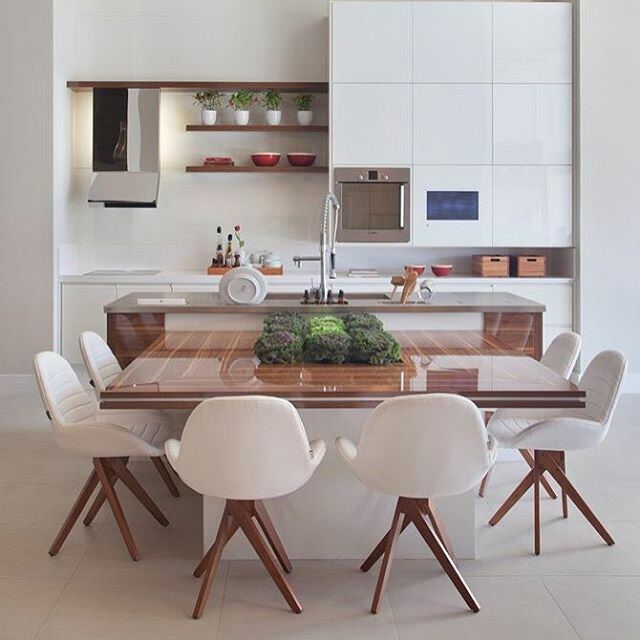 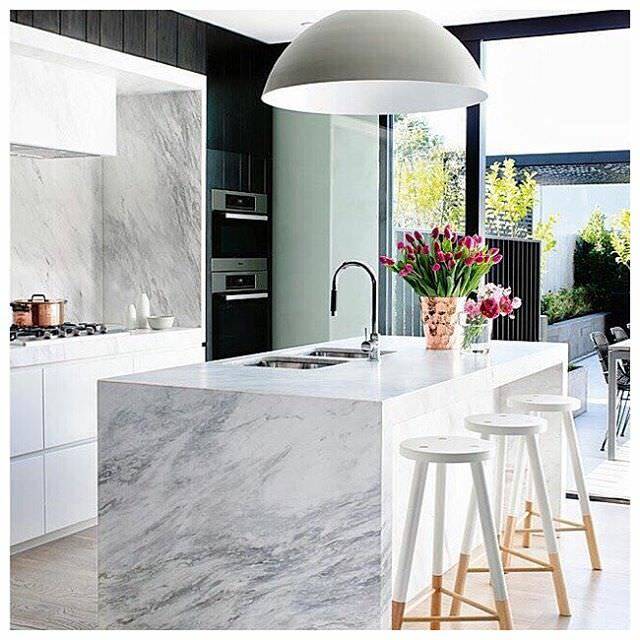 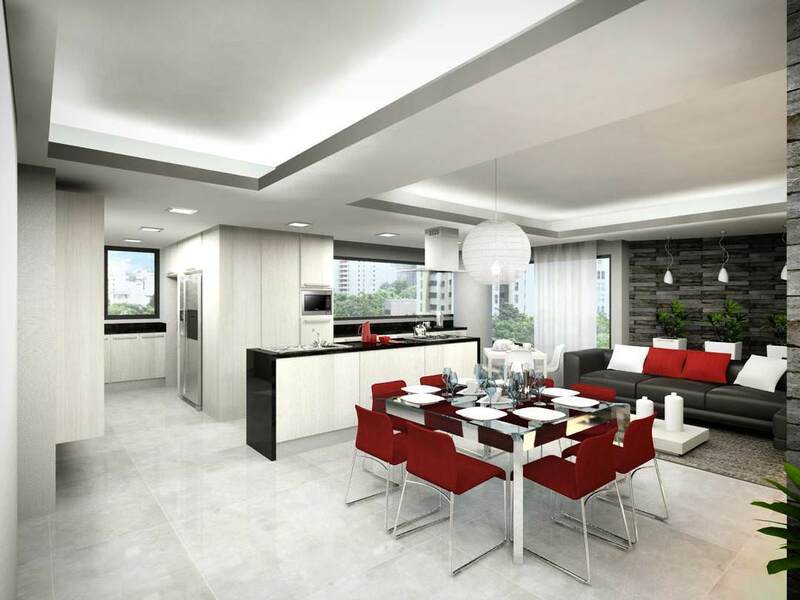 Dull colors were used in past; however modern kitchen designs give emphasis to use white color for walls, ceiling, shelves and windows to enjoy your time in kitchen. 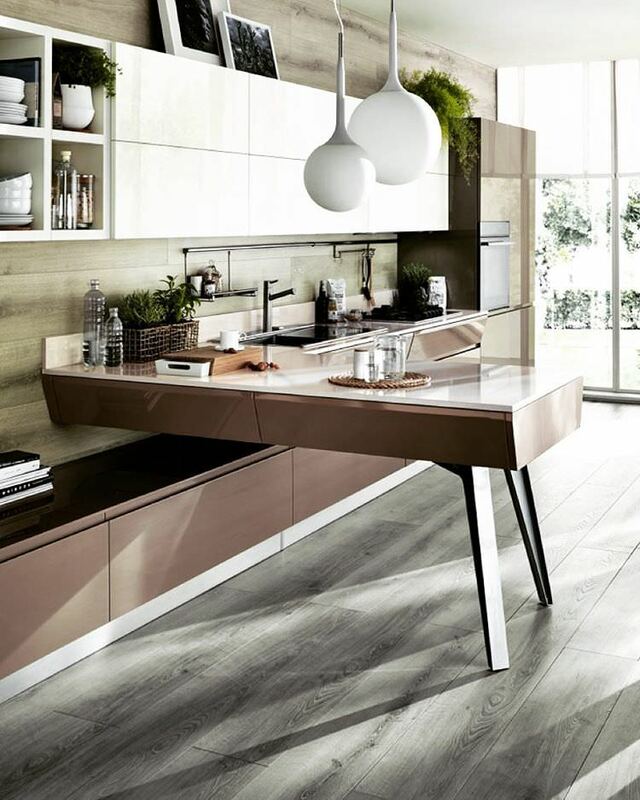 Though stainless steel, chrome and white silver metals can be viewed in most of kitchens but New Year will bring Copper, Bronze and Gold trends.